Another exciting thing to get in spring at the markets: rhubarb! It’s bright, colorful and very tart. Its stalks look like celery but are considered “fruit” and are used in pies, cakes, jams, sauces and chutneys. 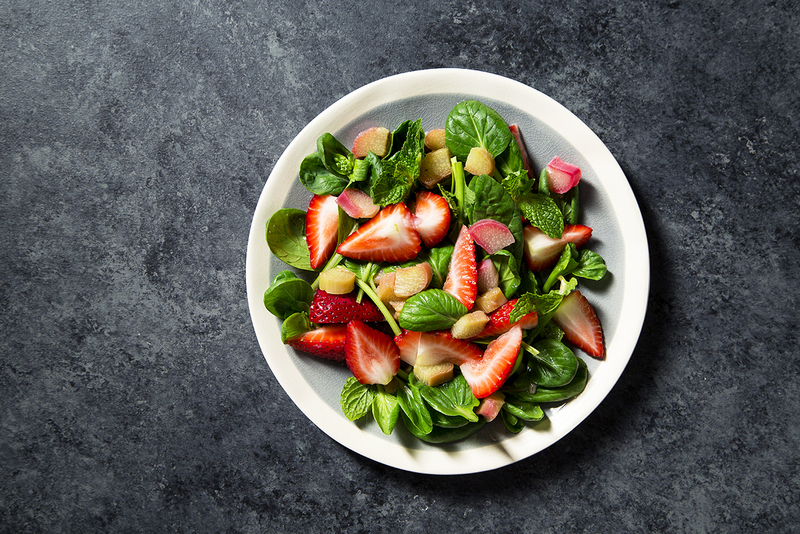 Today I quickly poached it in sugar and mixed with strawberries and greens for this salad! 1. Bring 1/2 cup water and 2 Tablespoons sugar to a boil, add rhubarb, cook for 1-2 minutes, turn the heat off and let sit while assembling the rest of the salad. 2. 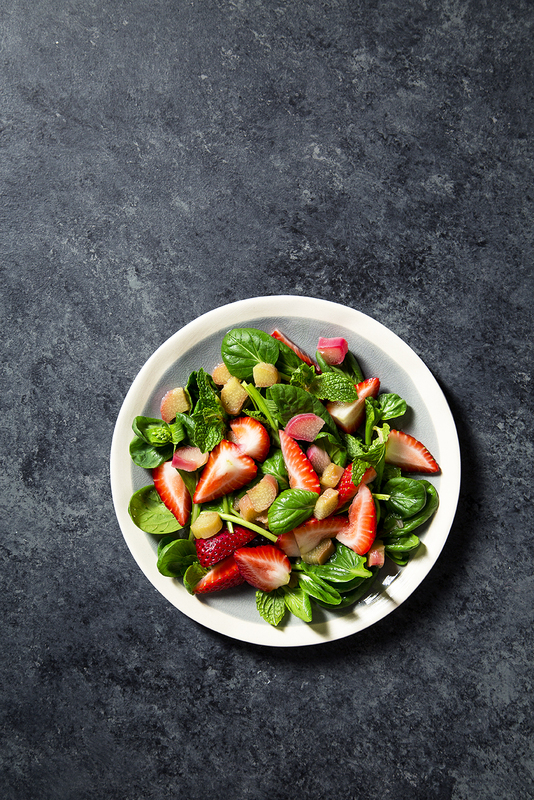 Mix greens with cut strawberries, top with rhubarb, a few tablespoons of the compote liquid and some fresh mint leaves.